Spa Shock to Remove Contaminants | Spa Place Inc. When people use spas, they leave undesirable compounds like body oils, perspiration and cosmetics that can irritate skin, burn eyes and create odors. 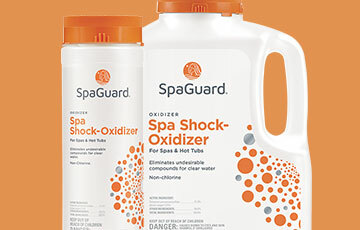 Oxidizing, also known as shocking the water, removes these compounds and restores water clarity and comfort.